How Is Camel Hair Or Fur Used To Make Jackets, Coats, Sweaters, and Camel Hair Paint Brushes? There are two types of camel hair. Camel hair from the camel’s protective outer coat is coarse and inflexible, but camel hair or fur the pure under coat are soft and plush. Pure camel hair which is often used for coats, is gathered when camels molt in warmer seasons, and this undercoat is very soft when separated from the dense, coarse outer coat. 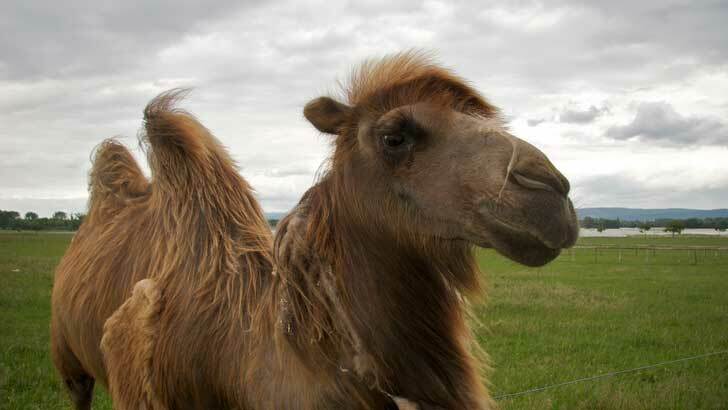 Camel hair is usually taken from the two-humped Bactrian camel, and major producers of camel hair include Mongolia, Iran, Afghanistan, Russia, China, and Australia. The molting season occurs in late spring, and the hair falls off first from the neck, then the mane and lastly the body hair. The process usually takes 6 weeks. Camel’s hair is a fiber that is warm and has thermostatic properties which means it also keeps you cool as well when it is hot in the desert. The long coarser hair removed in the dehairing process is made into carpet backing as well as warm waterproof coats. Most cheap school-grade camel hair paintbrushes are made from a pony’s tail or mane. Better-quality camel hair brushes include hair from an ox, pony, ferret, goat, and squirrel, or any mixture of these. But almost never a camel. What was the fur trade about and When did the fur trade in North America start? Why was Beaver fur so popular in the 1600s and Why was the Fur Trade important to European traders? Why Does Humidity Make Some Hair Curly and Some Hair Straight and What Causes a Bad Hair day?